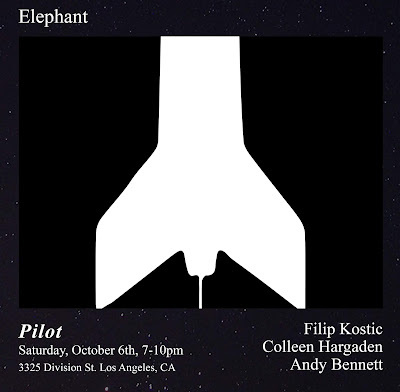 Elephant is pleased to present Pilot, a three-person show with works by Filip Kostic, Colleen Hargaden, and Andy Bennett. 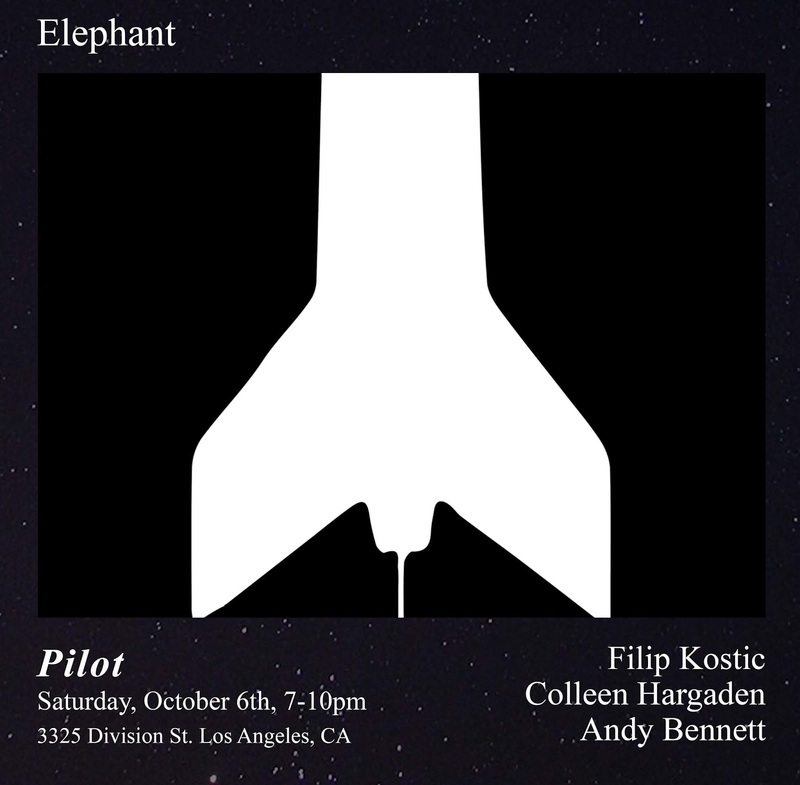 With references ranging from the original flat Earth theory, an all girls rocketry team, and the series finale of “The X-Files”, Pilot brings together work that considers the sky as a source of conspiracy, speculation, and contemplation. 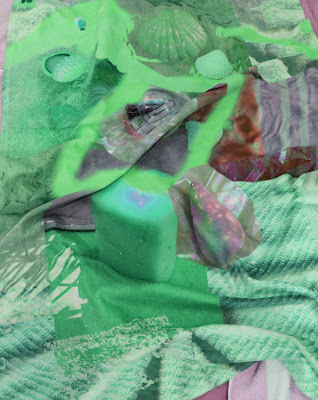 Filip Kostic’s The Zetetic Method, 2018 is titled after the first book which challenged Newton’s theory of the spherical Earth, and posited that the Earth is flat. Kostic’s video documents the artist jumping out of an airplane into the Earth’s atmosphere, attempting to recite the introduction of the book during his free fall. The Zetetic Method documents an extreme act which navigates the possibility of proving or disproving conspiracy. Colleen Hargaden’s Girls Rocketry Team (Grades 9-12), 2018 and Rocket Animation (Fins, Body Tube, Nose Cone), 2018 revisit futurism through the lens of young female rocketeers. A 16mm film documents the teenage rocketry team on-site, following the preparation and launch of their hand-made rockets. Rocket Animation (Fins, Body Tube, Nose Cone) is a vector animation which utilizes geometric silhouettes of rocket parts which take after designs in the Italian Futurist film Thais. Connecting the ideals of youth rocketry with those of futurism, the work triangulates technology, militarism, and simultaneously, a warmer sense of female empowerment. Andy Bennett’s diptych, In Search of Meaning, 2017 and In Search of the Truth, 2017 documents the precise recreation of two film stills. In Search of Meaning is a recreation of a still from Steven Spielberg's "Close Encounters of a Third Kind." The photograph was taken at Devil's Tower in Wyoming, the site where the film's protagonist, Roy Neary, believes that he will find meaning. In Search of the Truth was taken in Ocotillo Wells, California at the site where the protagonist of the show “The X-Files”, FBI agent Fox Mulder, locates "the truth". The diptych conflates the plight of fictional characters with Bennett’s own search for meaning as an artist.